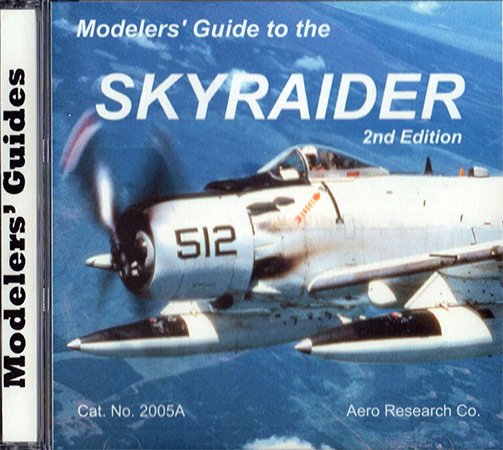 Back in 2013, Aero Research published their first modeler's guide for the A-1 Skyraider in hardcopy and electronic (PDF) (look here) and it was very well done. 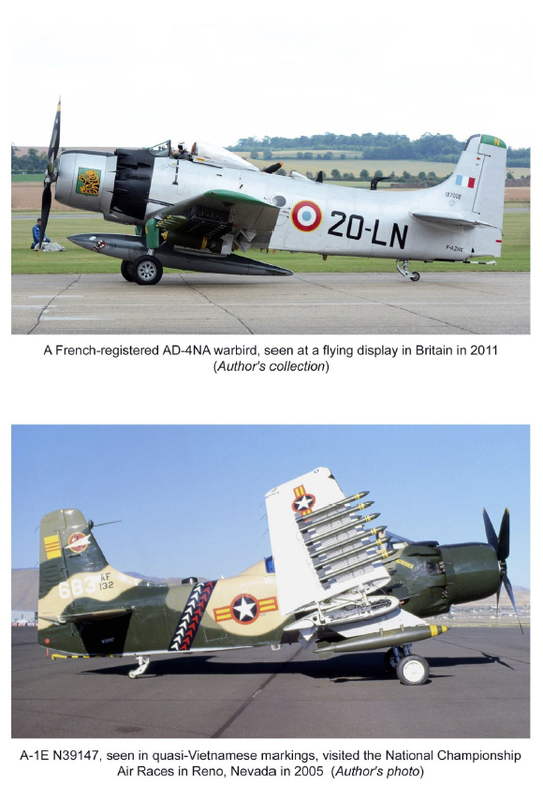 My only wish for that title was that it had been updated to cover the variety of Skyraider kits that had recently (at that time) been released. 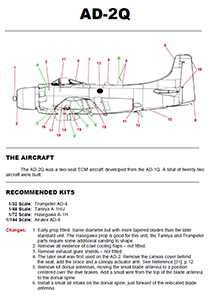 Author Jay Sherlock has made that wish come true with this 2nd Edition which reviews all of the Skyraider kits to date and provides a revised list of aftermarket products as well. As I had mentioned in the earlier review, the author had taken the title into a better direction for the modeler. He is focused on the model more than the history and operation of the aircraft. 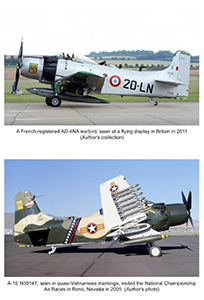 For example in the first image below, he lists recommended kits in 1/32, 1/48, 1/72 and 1/144 scale (if available) and then references them against the drawing to identify the changes to be made to replicate one of the 35 Skyraider variants in this title. 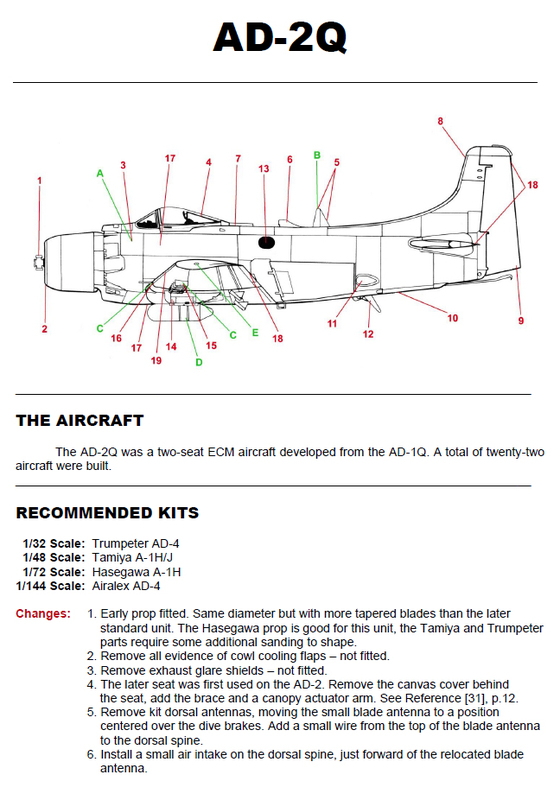 In this example, to modify the Trumpeter, Tamiya, Hasegawa, or Airalex kits to an AD-2Q electronic warfare aircraft, you make the specific changes identified in the drawing and explained in the list below. Here we have a reissue of the title in electronic format, specifically a CD-ROM containing an Adobe PDF version of the document. What is nice about this format is that I can keep a copy of this on my iPad to reference while working on my own Skyraider projects. Likewise if you have a computer nearby your workbench to make use of online references during your own builds, this electronic format will also serve you well. You can purchase this title or any of their photo CDs directly from their website www.aeroresearchcds.com or via email AeroResearch@Charter.net.